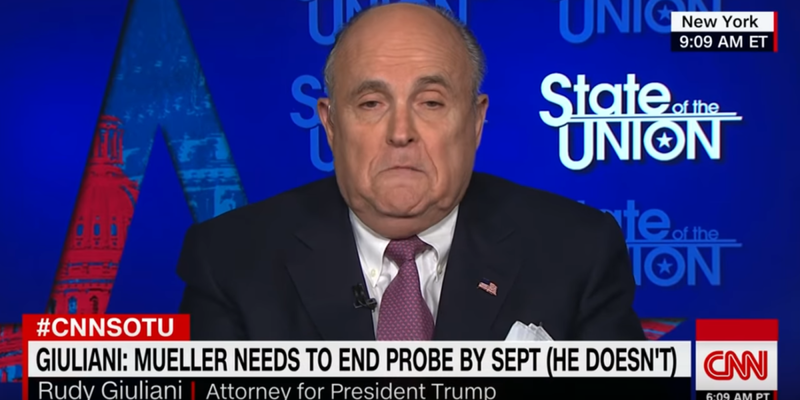 Proving yet again that Rudy Giuliani is the worst lawyer in history, the former New York Mayor reversed his stance on Trump answering obstruction of justice questions in the Mueller probe. 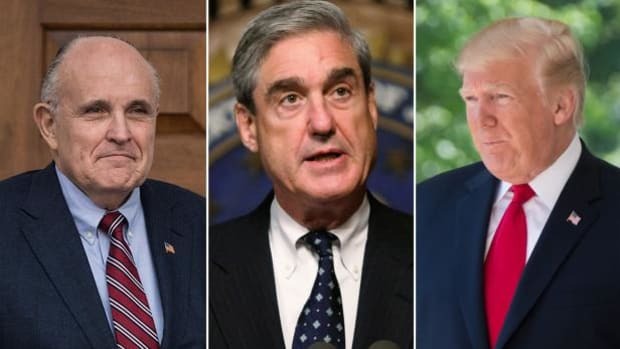 Proving yet again that Rudy Giuliani is the worst lawyer in history, the former New York Mayor reversed his stance on Trump answering obstruction of justice questions in the Mueller probe. Take a look at these two statements made on the same day. “It would be in written form and if you want to follow up on our answers, justify it. 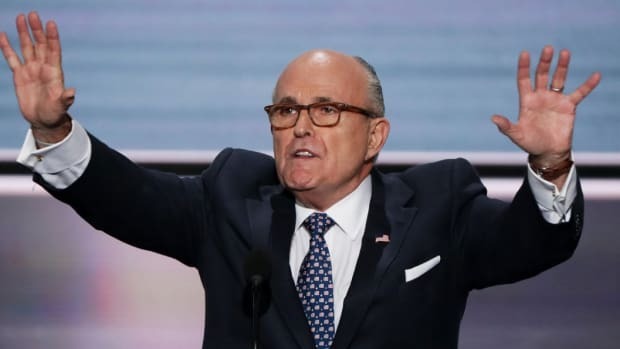 Show us why you didn’t get there the first time,” Giuliani said. The president&apos;s lawyer added that for now there’s “no commitment on obstruction which are post-presidential matters” but says the legal team will agree to talk “after the collusion/pre-presidential questions are over." So according to Giuliani, questions on obstruction of justice are a "no-go," and "not going to happen," but are "not ruled in or out". If anyone can make sense of this, please let us know in the comments section below. It seems that the Trump administration&apos;s legal strategy in dealing with the Mueller probe is to give as many conflicting stories to the press as they possibly can. 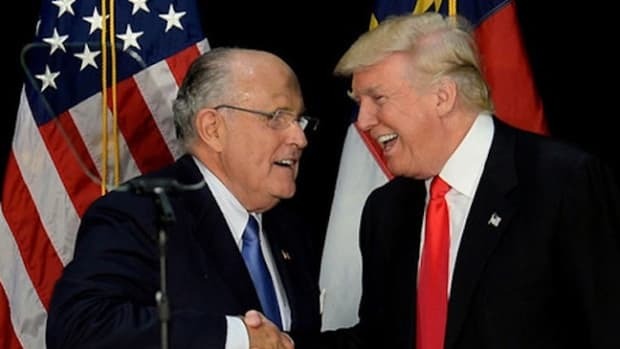 Giuliani confesses to Trump&apos;s crimes, changes his story, then pretends he didn&apos;t on an almost weekly basis now, creating more chaos and confusion around the issue. Why Giuliani thinks this is working is anyone&apos;s guess, but they appear to be sticking to it religiously. As reported before, it is entirely possible that Rudy Giuliani is doing these interviews drunk, which would make a lot of sense given his working relationship with Trump. According to Bob Woodward&apos;s book, Trump routinely abuses Giuliani after his atrocious performances on air. 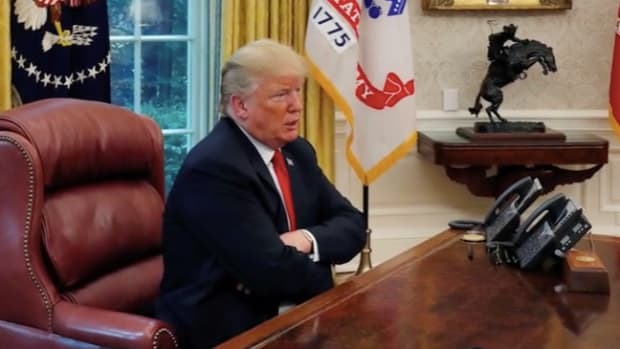 Drinking is a well known crux for those suffering from stress in the workplace, so it stands to reason that Giuliani could be consuming alcohol to deal with his boss&apos;s bullying. Either that, or he really is the worst lawyer on the planet.